2019 will be my 14th. In 2005, I hemmed and hawed about joining up until I finally got the confidence up to walk in the door as my 2006 New Year’s resolution. Three practices later, I was scrimmaging, and the rest is history. Knitting, paper crafts, drawing, hanging out with my two little dogs (@licorice_and_blackjack on Instagram), and more recently, aerial silks and trapeze. I’ve skated recreationally since I was four. Other than that and softball and track growing up, that was it. It’s my real name. I had a derby name, but I only used it for about 3 years. I was Alli Catraz, but she’s long gone. I switched back after I realized this was my real life after all. By pretty much taking it over. I served on the OHRD Board of Directors for five years, our Training Committee for five, and have done lots of odd jobs for the league. I became one of our reps to the Women’s Flat Track Derby Association (WFTDA) in 2008. 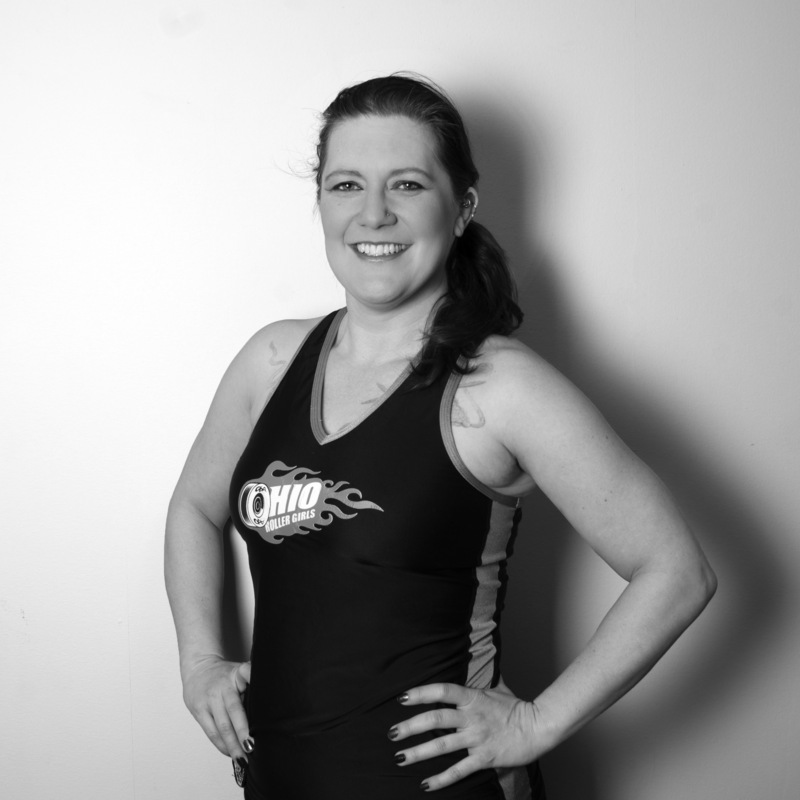 Later, I became the Membership Pillar Officer, working with member leagues all over the world, and then spent 2 years as Vice President of WFTDA.